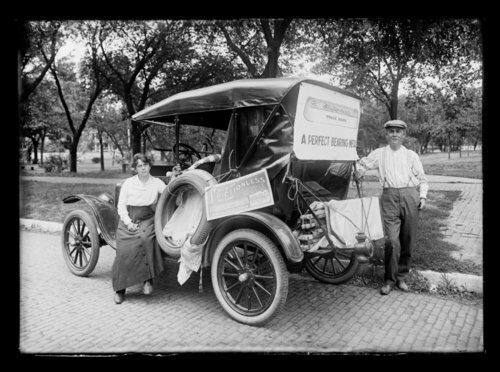 This black and white photograph from a glass plate negative shows a couple standing beside an automobile that is advertising "Frictionless Metal" a perfect bearing metal that was manufactured by the Frictionless Metal Company of Chattanooga, Tennessee. On the back of the photograph, "J.T. Pate auto in park" is written.